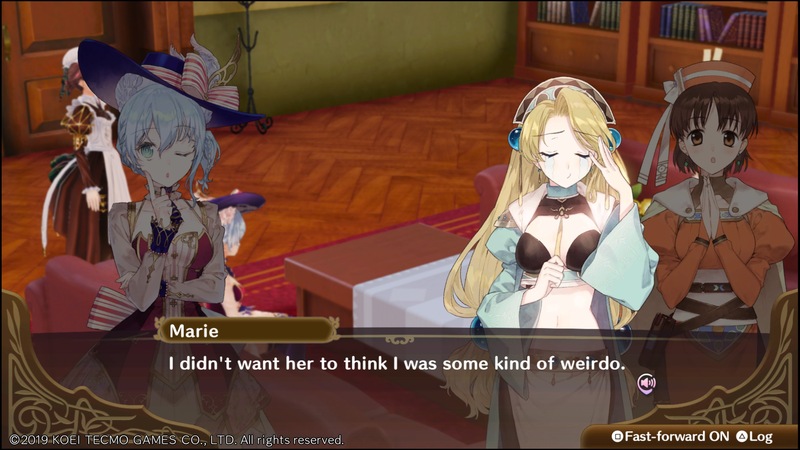 Nelke and the Legendary Alchemists is a title that knows it won’t have widespread appeal. A fanservice game for a niche series, it’s somewhat a surprise that this Atelier spin-off was localized in the first place. 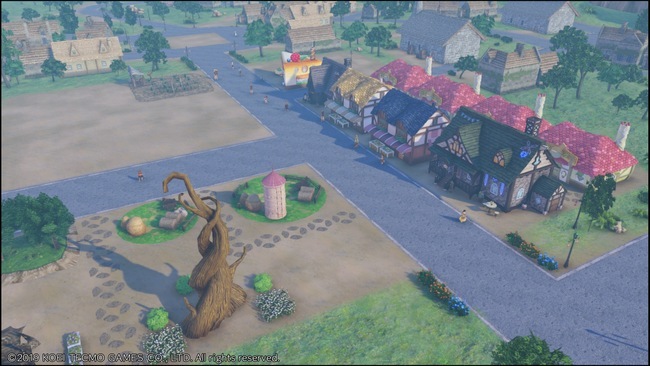 Unlike mainline series' games, instead of crafting items and growing your atelier, you’re building up a town while in search of an ancient relic. 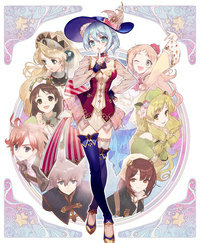 It’s a departure of the regular Atelier formula featuring all of the main characters of the long-running series. However, the game’s reliance on character cameos and shallow town-building make for a title that’s easy to skip. 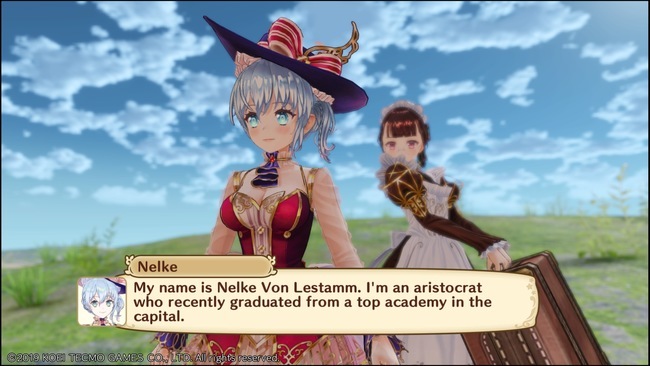 In Nelke and the Legendary Alchemists, you play as the titular Nelke herself. Nelke is an aristocrat, but she wasn’t very good at alchemy. Instead, she decides to become an administrator, to help the people in her own way. Her first task is to go to the small town of Westwald and develop it into a worthwhile city. Nelke, however, has a secondary objective… finding the Granzweit Tree, an ancient Sage Relic whose fruit may be able to grant wishes. The story involving Nelke and the townspeople is nothing particularly special. It follows all of the typical story beats and essentially uses the mystery of the Granzweit Tree as an excuse to bring all of the characters of the Atelier series together in one place. 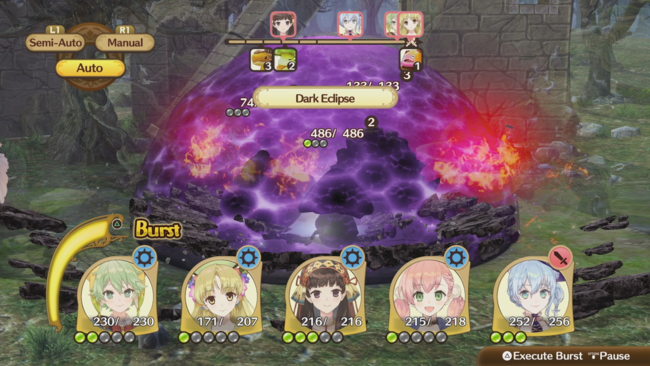 While it’s neat that there’s a game that gets all of the Atelier main characters together in one place (and there’s a lot of them… the upcoming Atelier Lulua is the twentieth mainline entry to the series), there is a problem with this with the Western audience. 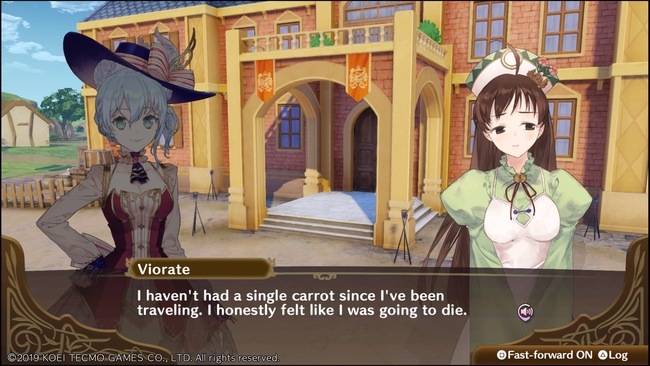 Not all of the Atelier games were localized, and even then the series didn’t gain much popularity in the PlayStation 2 era. Simply put, a lot of fans aren’t going to recognize most of these alchemists. I consider myself a pretty big fan of the Atelier games, having at least played every localized entry and read up on the Japanese only titles, but I still felt a bit confused and unimpressed at all of the cameos. At some points, the game just throws entire subseries of alchemists at you at once, without so much as a couple of lines before you set them off to work. The title is set to be a fanservice game above all else; one that’s supposed to celebrate the Atelier series’ long history. While there are plenty of events to unlock (but at a cost--more on that later), a little more care into some of these characters’ introductions would be nice. So with the fanservice bit of Nelke falling flat, at least for Western audiences, this title will need to rely on compelling gameplay to be a worthwhile purchase. Nelke is a town building simulator, and you have two general goals to achieve to build up Westwald: Raise the population and turn a profit. To do that, you’ll need to complete main and subtasks to raise the population limit, and make sure there’s a steady flow of items and labor in the town to make sure money is being made. The basic flow of Nelke’s economy is relatively simple. You obtain materials, either by finding them yourself or growing them in town. Then, you get the alchemists to turn the materials into actual items. Sell the items at their designated shops, and make sure you have enough of them, and you’ll begin turning a profit. The game tells you where you might be bottlenecked in terms of production or particular types of items, and you can tweak everything for the next week. Building the town and growing the economy is pretty simple. Provided you have the items you need, you just plop down a place for a new atelier or shop, and it’ll be ready in a turn or two. It can be a bit more difficult to reorganize an area if you need to when upgrading buildings. You can only place a building near a road, so if you need to move something around you need to painstakingly move every patch of road. Also, upgrading buildings will take them out of commission for a turn, a lesson I learned the hard way when I lost an important atelier for a turn and ruined my shop stock for multiple turns. These little frustrations build up when playing trying to build up your town. Tasks can have vague instructions--building your town up to a specific population seems like a straightforward goal, but there’s no real way to tell how to reliably get new townspeople beyond completing specific quests. Another task had me building some Large Facilities, but when I first got the mainline quest (which failure means game over), I had no way to actually make the facilities needed. I unlocked the buildings seemingly randomly one turn, but not before spending five turns before it stressing about how I’ll even make these buildings, and if I’ll have the right items to build it in time. The town-building aspect of Nelke ends up have this weird duality to it as a result. It’s simple, yet somehow still tedious and complicated. Everything is laid out for you in graphs in numbers, but you still don’t know exactly where those numbers come from. It makes for a town-building sim that’s easy to dump hours into but still leaves you unsatisfied. Besides, what about this fancy Sage Relic that you’re supposed to be looking for? There’s another aspect of Nelke not yet mentioned--the Holiday. After every Weekday (the town building part) is the Holiday, where you can do various other activities within a limited time period. You can go around and talk to the more notable characters, netting friendship levels and experience. You’ll also occasionally get new buildings and landmarks to create when friendship is raised high enough. You can also go out on investigations, exploring the area near Westwald for materials and clues as to the Granzweit Tree. Once a particular path is completed, you can send villagers over to scavenge for more materials, so it’s in your best interest to finish each path as soon as possible, even if you have to run through the area and miss out on items. The entirety of the investigation is automated, however. Your characters literally walk along a straight line, randomly picking up items or getting into battles. The battles themselves you can control, at least somewhat. You can control the attackers up front, dealing damage and using items to heal, while the alchemists in the back will react on their own in battle. The alchemists can also unleash special attacks, which can decimate bosses. As a battle system, it’s nothing to write home about, it just gets the job done. Finally, you can conduct research, which is generally giving alchemists specific items and have specific friendship levels and they’ll figure out new recipes and other stuff for you to grab. This is pretty straightforward, and thankfully doesn’t take away an alchemist for the Weekday, so there’s no reason to not have someone research when everything is available. But as I said before, you only have a limited amount of time to do this, and the Holiday never seems to last long enough (a painful metaphor for real life). You’ll have to decide what’s more important: Talking to the villagers and trying to solve their problems, or going out and exploring. Neglecting one or the another for too long will severely hamper town growth, so you have to learn how to balance it out. Ironically, this usually means skipping chats with the alchemists when you don’t unlock something… not the best thing when this is meant to be a fanservice title for the Atelier series. Holidays are mainly just there to break up the town building Weekdays, but mainly feel inconsequential. It’s, of course, important to investigate and research for progressing in Nelke, but there’s no interactivity to it, just menus to click through. Granted this is also the case for the town-building bits, but it’s also more forgivable given the nature of the town building sim. It’s a shame that I can’t walk around an area on my own like any other Atelier title, and am forced to just watch everyone walk along and occasionally fight a battle. It’s boring. Unfortunately, boredom is the word that best describes Nelke. You can easily dump hours into the game, but never feel like you get anywhere. Nothing feels satisfying, and while Nelke doesn’t have much wrong with it that feels offensively bad, there’s just nothing that’s really outstanding about the game either. This Atelier spin-off is utterly mediocre.